The Tri-Mountain 8830 District is a safety uniform constructed with a shell of windproof/water resistant polyester, and is lined with super heavyweight 11 oz. Black Anti-Pilling PANDA FLEECE. Features 3M™ 2” reflective tape, two front pockets with zippers and one inner right chest zippered pocket. Double-stitched seams for added strength. Stretch ribbed cuffs and waistband. 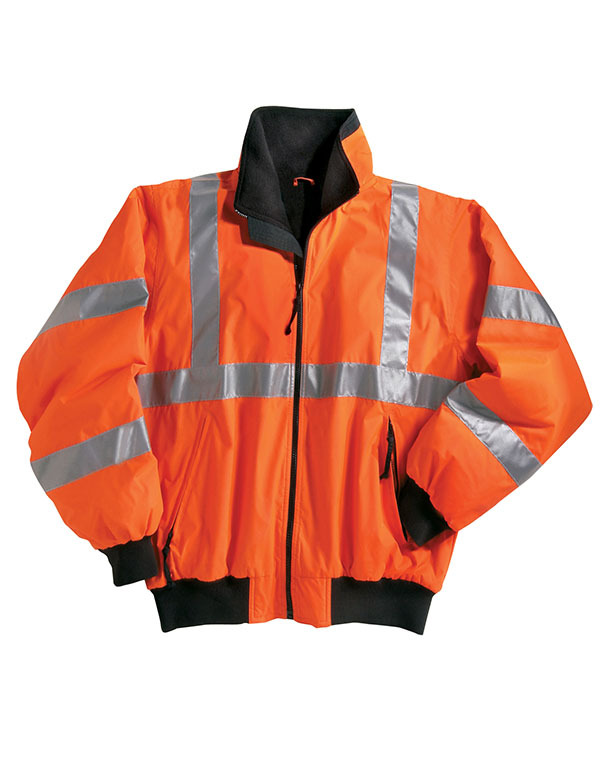 Available in two of the most popular colors in safety apparel, Lime Green and OSHA Orange. Meets ANSI/ISEA 107-2004 Standards - Class 3/Level 2.